LQHBA 2019 Hall of Fame Nominations are due November 16. 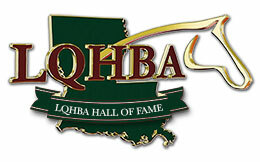 ALEXANDRIA, LA—NOVEMBER 9, 2018—Its once again time to make nominations for the LQHBA Hall of Fame. "The class of 2018 was honored during the annual membership meeting earlier this year," LQHBA Executive Director Tony Patterson said. "It was a very special evening for our entire association." To nominate for the class of 2019 you must be current LQHBA Member. When nominating a person or horse, please be sure to enclose biographical information to support your nominee. All nominations must be received to the LQHBA office by November 16, 2018. Nominations will be voted on by the LQHBA Board of Directors during a regular meeting later in the year. CLICK HERE for a 2019 LQHBA Hall of Fame Nomination Form. The 2019 LQHBA Hall of Fame inductions will be made during the Annual Membership Meeting and Awards Banquet next Spring. For additional information call the LQHBA office at 318.487.9506 or visit the association's website at lqhba.com.